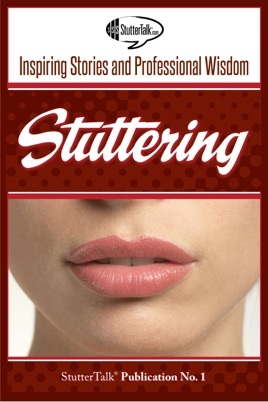 This book reflects a wide range of experiences and knowledge found in the stuttering community and includes 25 chapters written by people who stutter and leading professionals.In the first section of the book, people who stutter share their inspiring stuttering stories. Topics include growing up stuttering, chasing fluency, facing fears, covert stuttering, voluntary stuttering and other speech tools, avoiding stuttering, making productive changes, advertising stuttering (telling others that you stutter), meeting others who stutter, passing as fluent, the importance of being a good listener, substance abuse and stuttering, LGBT issues in the stuttering community, using acting to help cope with stuttering, a letter to "fluency," learning from children who stutter, stuttering paradoxes and much more.The second section of the book delves into some current and exciting issues in stuttering and treatment. These chapters reflect the deep knowledge of well respected speech-language pathologists and researchers and a disabilities rights lawyer. Authors include Walter H. Manning, Phil Schneider, J. Scott Yaruss, Bob Quesal, John A. Tetnowski and others. Topics covered are the acceptance of stuttering, the therapeutic alliance (the relationship between client and therapist), considerations in choosing a speech-language pathologist, the body and soul of speech therapy, mindfulness in stuttering treatment, the biggest mistakes made in stuttering treatment, disability issues and stuttering, a conversation about “fluency” and much more. Each stories and professional wisdom is very very good and interesting. Thanks stuttertalk for this awesome book. All I can say is I'm only 100 pages in and so far it's been more helpful than anything else I've read. My son is 8 and a profound stutterer. This book is helping me try to understand what he is experiencing and what I can do to help him. This book is a most have for anyone who stutters or has a family member who stutters.